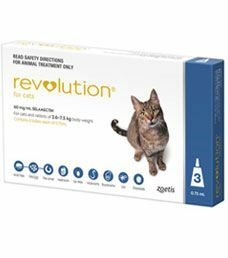 Revolution® provides broad spectrum protection against most internal and external parasites in cats eight weeks of age or older and weighing more than 5 lbs. 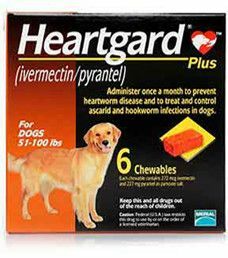 Revolution® kills adult fleas and prevents flea eggs from hatching, and is indicated for the prevention and control of flea infestations prevention of heartworm disease, treats and controls ear mites, and treats and controls intestinal hookworm and roundworm. Revolution® is a once-monthly topical treatment that is applied to the pet’s skin. 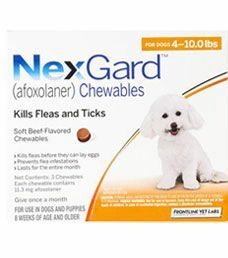 NexGard® kills adult fleas and is indicated for the treatment and prevention of flea infestations (Ctenocephalides felis), and the treatment and control of Black-legged tick (Ixodes scapularis), American Dog tick (Dermacentor variabilis), Lone Star tick (Amblyomma americanum) and Brown dog tick (Rhipicephalus sanguineus) infestations in dogs and puppies 8 weeks of age and older, weighing 4 pounds of body weight or greater, for one month. Each chewable contains 68 mg of afoxolaner.